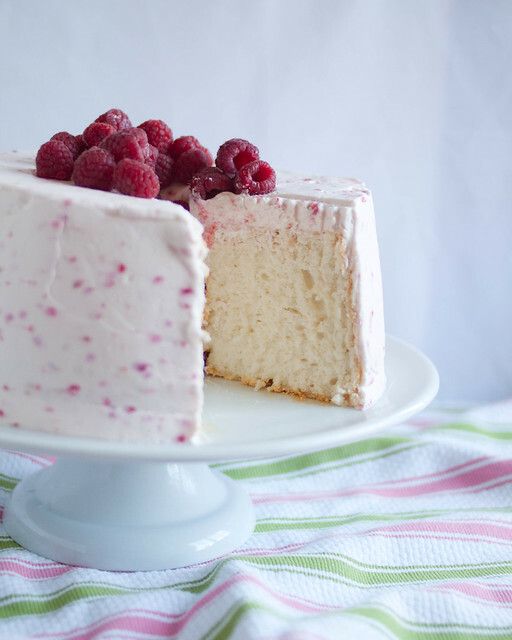 I debated whether or not to wait until February to post this Raspberries & Cream Angel Food Cake, you know for Valentine's Day and all, but then I figured why wait? For those of you looking to make a dessert to celebrate the holiday this will give you a leg up and time to prepare. The inspiration for this beautiful cake came from two baking masters: Zoë Francois and Stella Parks. For the angel food cake I made Stella's recipe which uses a slow and steady approach to whipping the fluffy meringue base. I also love that her recipes uses egg whites straight from the fridge - no need to get them warmed to room temperature. As for the pale pink raspberry cream frosting, I literally stopped in my tracks when I first caught sight of it on Zoë's Instagram feed. I couldn't get over how visually stunning it looked. 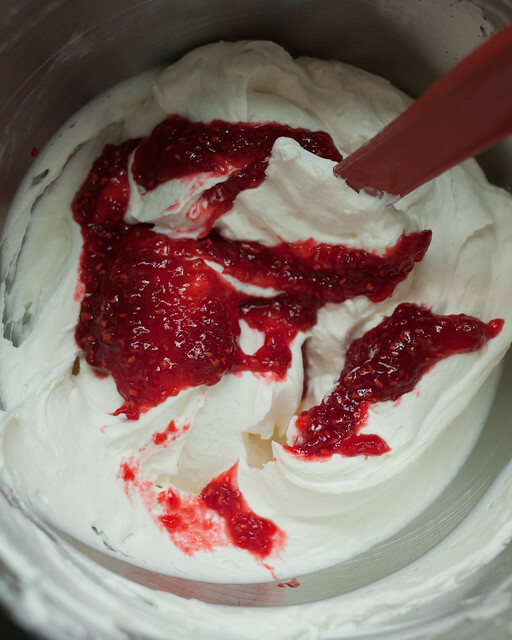 Whenever I use whipped cream as a frosting I like to add in some cream cheese which gives it a delicious tang and much needed stability. 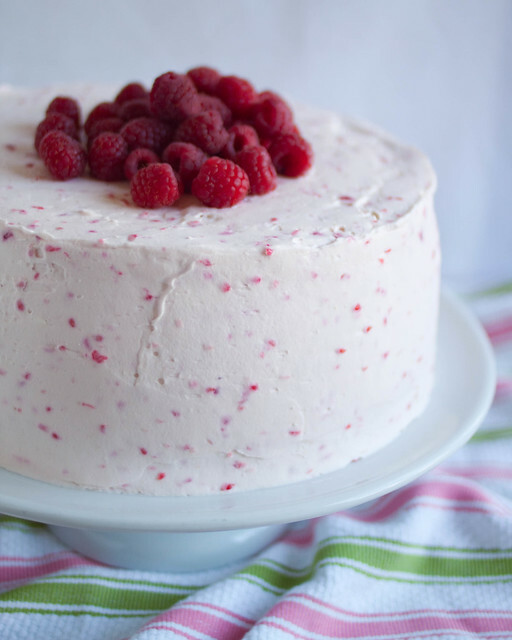 Cue the raspberry jam and you end up with the most beautiful and delicious frosting! As I write this blog post I am literally enjoying a big slice of the cake. It's heaven, I tell you. 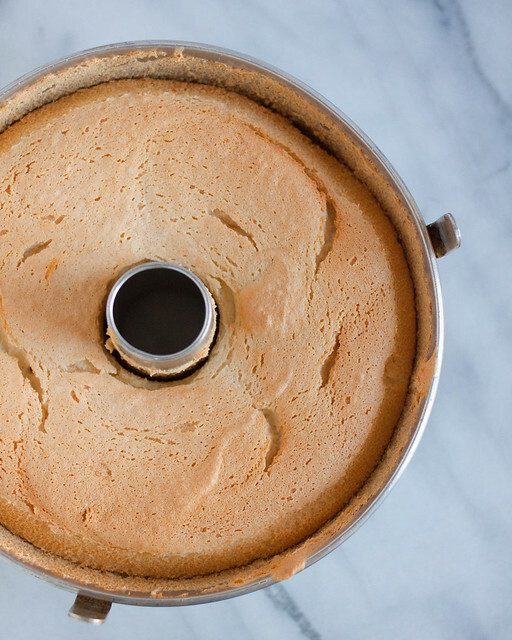 Whereas most angel food cakes tend to be cloyingly sweet this one is anything but! I highly encourage you to give it a try. Trust me, you won't regret it. p.s. 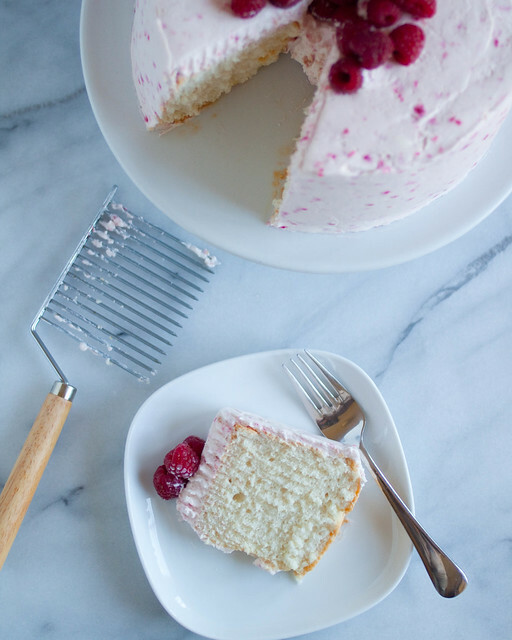 I used this fabulous angel food cake cutter and it works like a dream! One of my colleagues recently did me a huge favor at work and as a thank you I wanted to bake something to show my appreciation. 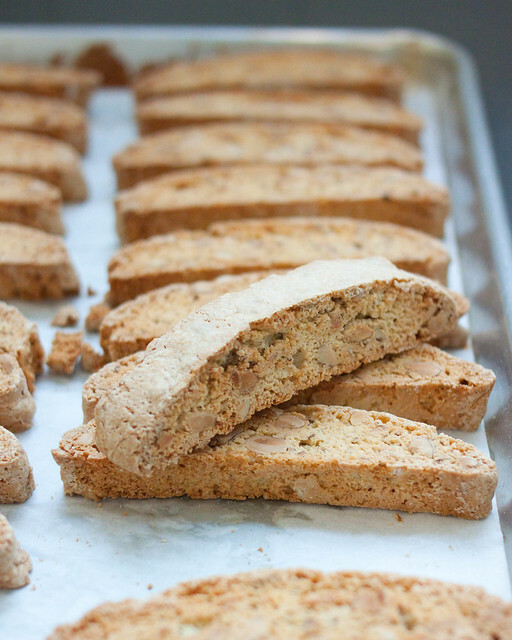 I vaguely recalled her mention in passing that she loved a good biscotti so that's what I set out to make. Lucky for me I'd been hankering for an excuse to make these Almond Anise Biscotti I saw posted on Serious Eats a few weeks ago. The recipe comes from Stella Parks who is one of my baking Yodas. I seriously love everything she makes! 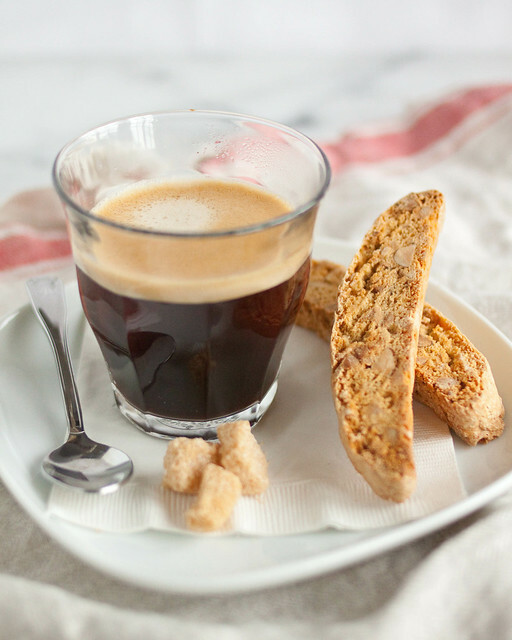 Anise is not a spice I normally gravitate towards in baking but in this case the hint of licorice flavor it provides to the biscotti is spot on - just subtle enough and not overpowering. 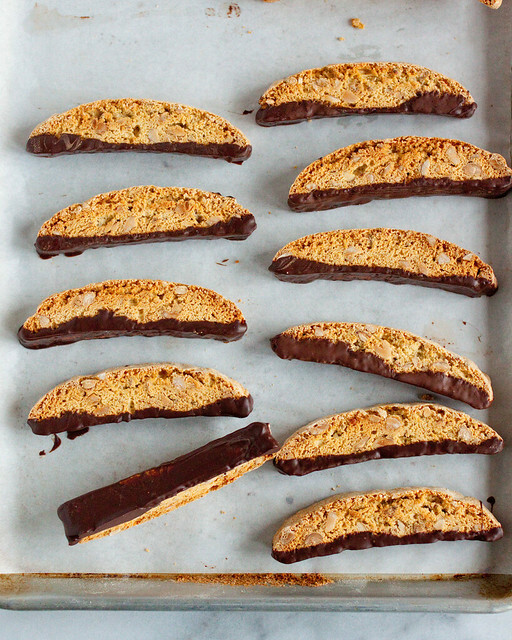 A technique in this recipe that I'm definitely going to steal going forward is how the biscotti is shaped. 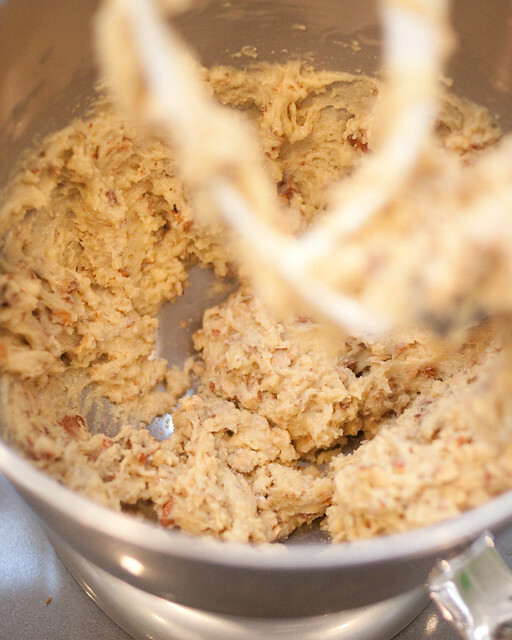 The dough is rolled in to a log that extends to the full length of a half sheet pan. Doing this I think helps to ensure even thickness in the baked cookie. To gild the lily even further I ended up dipping some of the biscotti in bittersweet chocolate. I tried tempering the chocolate using the seeding method but I'm not too convinced of how they turned out. They still taste great though! For my first blog post of 2019 I wanted to showcase something tart and refreshing so I present to you a Passion Fruit Tart. This past holiday season I definitely didn't pass up any opportunities to over indulge - four raclette dinners in the span of three weeks was evidence of that! I made this tart for dessert at one of those dinners and it was the perfect ending to such a heavy meal. Besides, I don't think passion fruit gets all the love it deserves. I myself am a huge fan of the tropical fruit and try to use it in baking wherever I can. While fresh fruit is always best I find the cost of passion fruit, at least here in San Francisco, can be quite prohibitive. My local Asian market was selling the fruit for $4 each and when you normally need at least five for any given recipe that tends to be expensive. I found a fantastic alternative though - frozen passion fruit pulp. 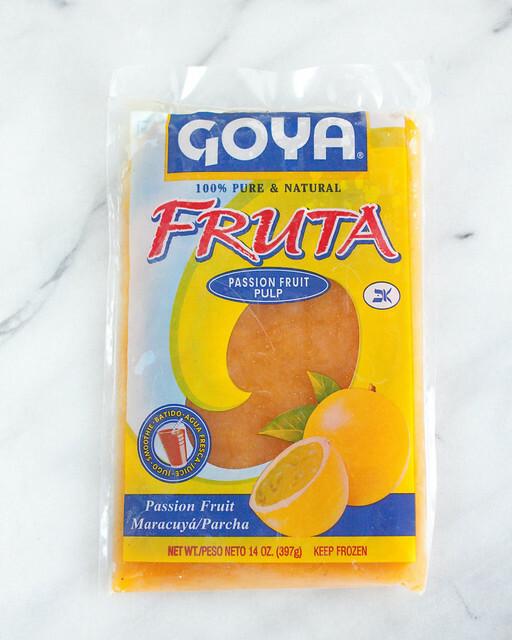 Head to your local Hispanic supermarket and nine times out of ten they'll carry this item. Plus, it's so much cheaper than the fresh fruit. 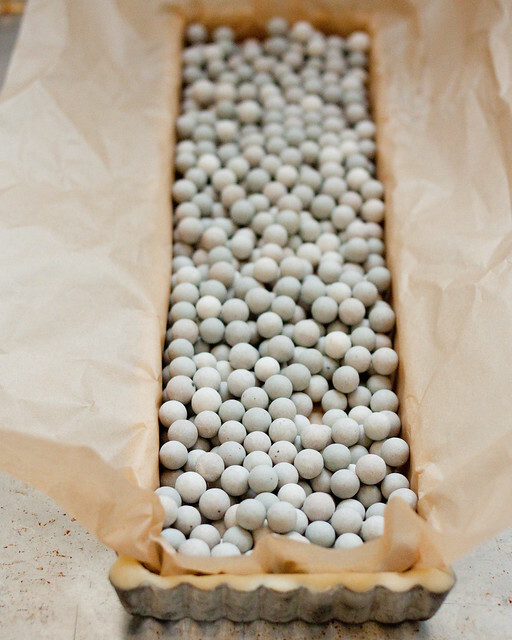 The only downside being that that you forgo colorful seeds but I'm ok with that. 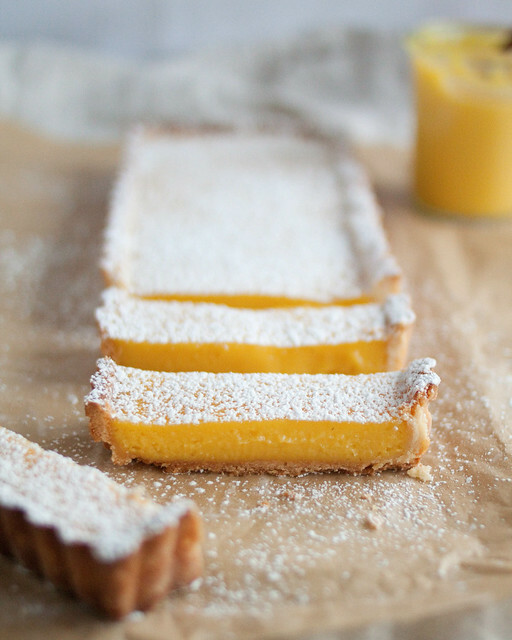 To make this tart I started with Cook's Illustrated's classic lemon tart and simply substituted the lemon juice with passion fruit pulp. Easy peasy! What I particularly love about CI's recipe is that you make a curd first and then bake it in a warm sweet pastry crust. 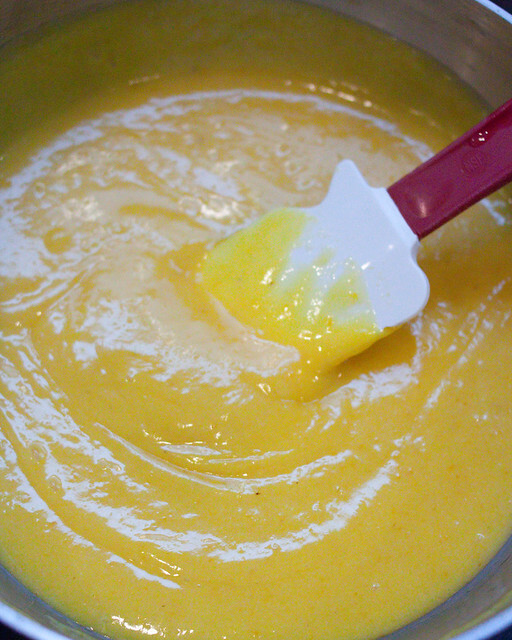 This leads to a firm filling and a tart that's easier to slice and serve. 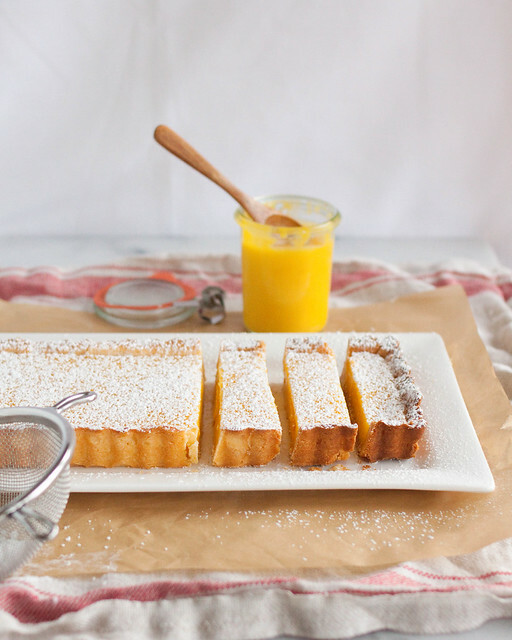 I encourage you to give this dessert a try - you won't regret it!